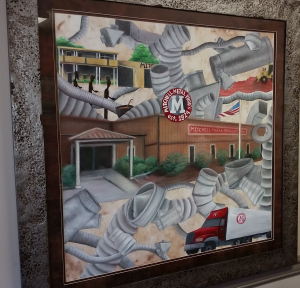 In this world of ever-changing business, Mitchell Metal Products continues to be a privately held and family-owned manufacturer of HVAC sheet metal products. 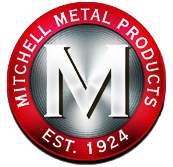 Founded in 1924 and with almost 90 years of experience, Mitchell Metal Products has firmly been established as a familiar name in the constantly changing building industry. Almost nine decades and three generations of experience in the manufacturing industry assure Mitchell Metal’s customers the best quality single-wall items, Type B vent products, and custom items on the market. 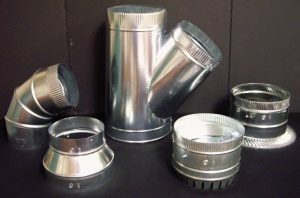 These items are produced from 30 gauge to 20 gauge galvanized steel, stainless steel, and aluminum. Featured in the catalog are standard HVAC products, and they are only a basic representation of the items we manufacture. Mitchell Metal also manufactures many custom-made items that are designed according to customer requests and specifications. Mitchell Metal Products, which also boasts an additional branch of operations in Texas, is dedicated to providing quality products, personalized service, on-time delivery, and competitive prices so their customers can maintain a competitive edge in the marketplace.